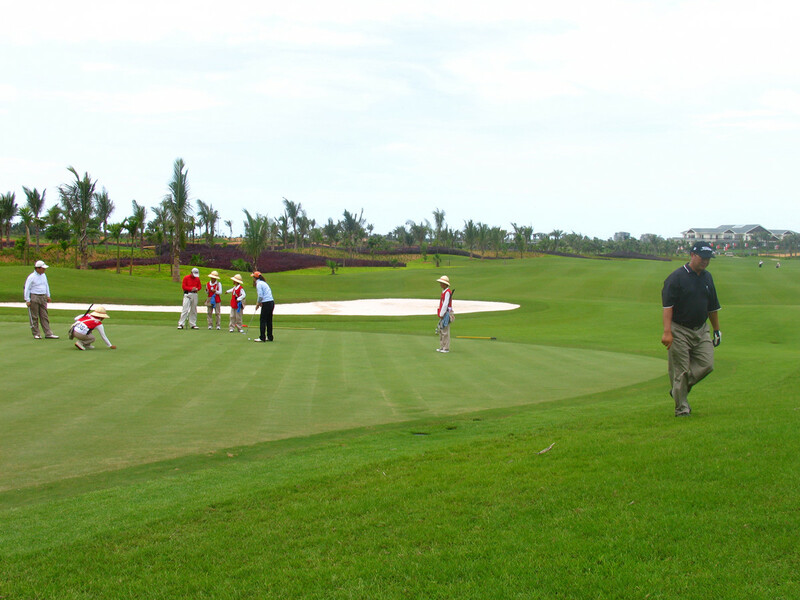 Opened in 2004, West Coast Golf Club is located in the west coast of Haikou. 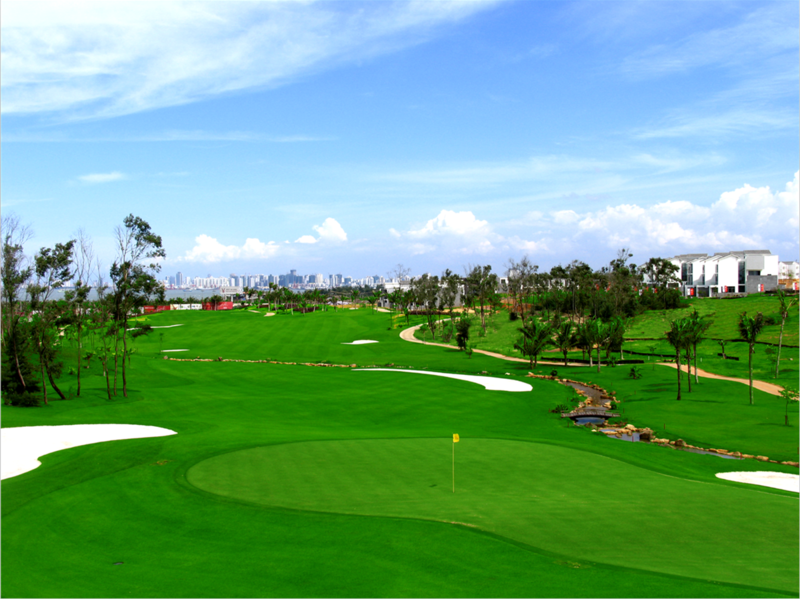 Basically a ‘city golf course’, as it is only about 15 minutes’ drive from downtown Haikou, and about 40 minutes from Haikou Meilan Airport. 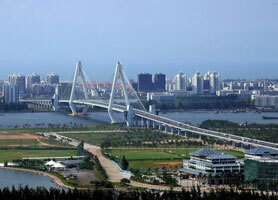 There are hotels near West Coast Golf Club Haikou including Marriott Haikou, Sheraton Haikou and Shangari-La Haikou. Moderate choices include Holiday INN Express and other local hotels. 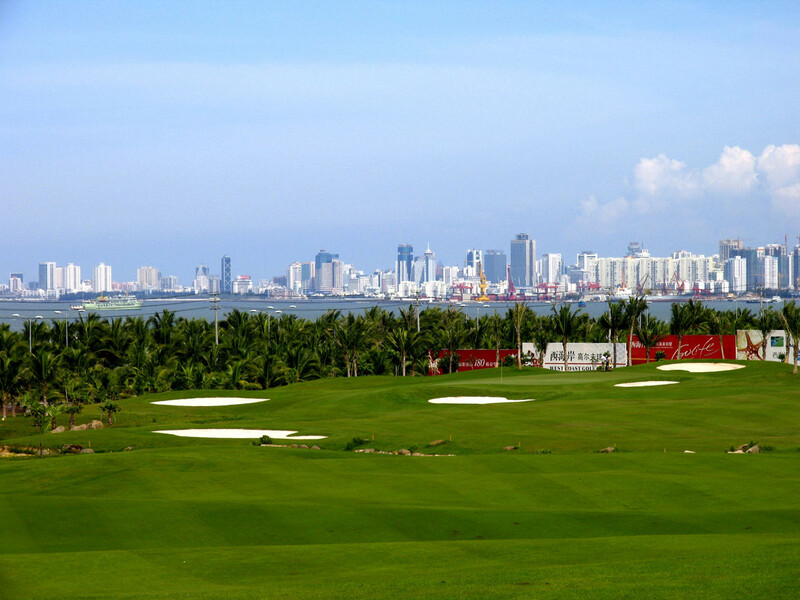 Haikou West Coast Golf is a Par-727, 267-yard course was designed by Perry & Cynthia, a third generation golf course designer of the Dye family. 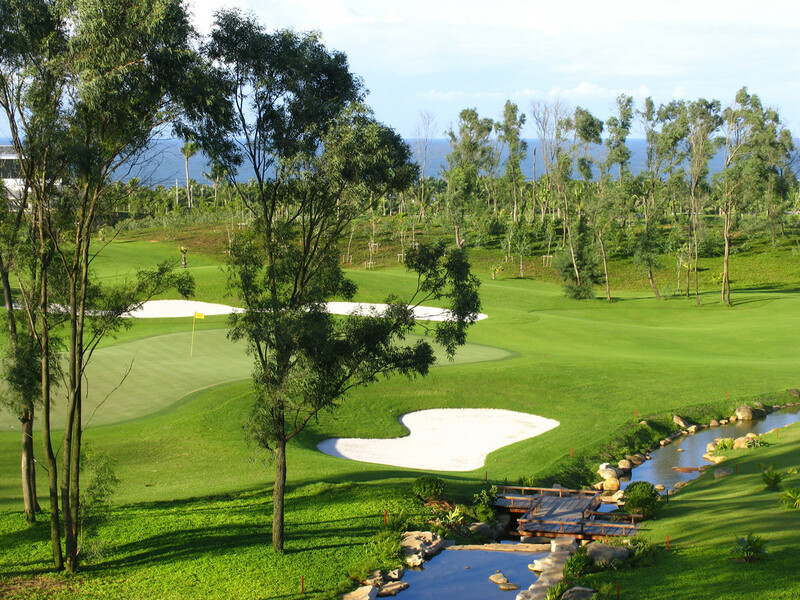 Despite the tropical setting and vegetation, the theme of West Coast Golf Club design is that of a traditional Chinese nature scape with a gentle stream meandering, fish ponds and birds up in the trees. 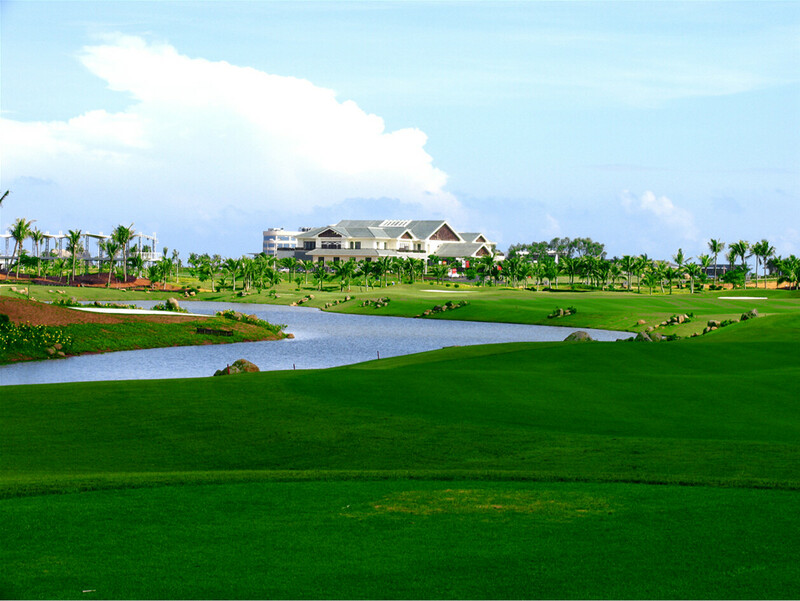 Together with a 9-hole section fronting the sea, one gets the feeling of a wide expanse of scenic beauty playing here. 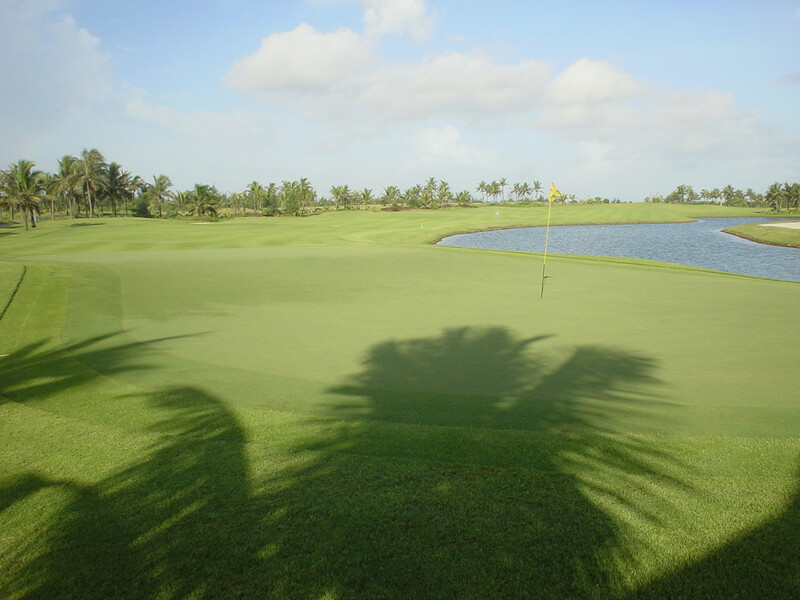 Easily the signature hole, the Par-3 194-yard Hole 16 has the entire flight path from the black tee over water, which edges on the right side of the concave fairway all the way to the tif-dwarf Bermuda green. 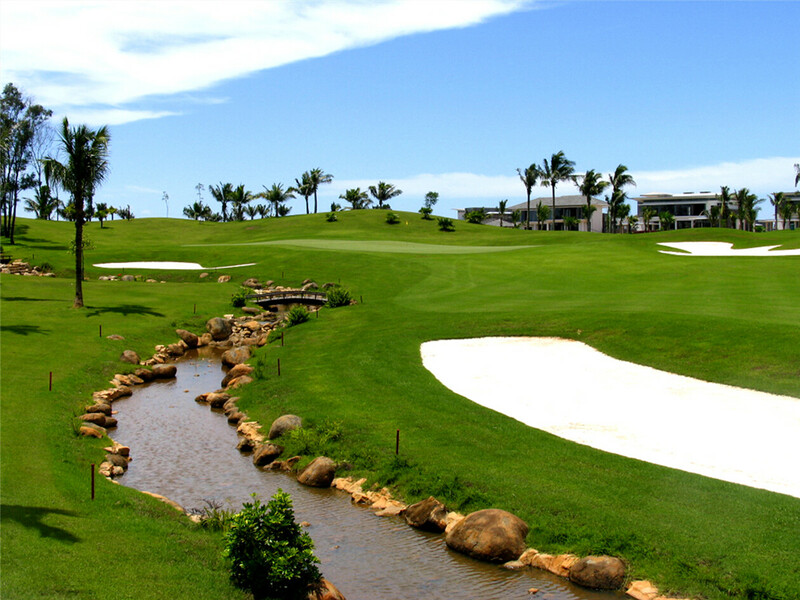 An experienced player would pay particular attention to the tee-box inclination to avoid errand shots, finding the water. The longest hole is the Par-5 557-yard Hole 7 , which has sand all the way from the tee-box to the area of the first landing . A power drive for a carry-over, the sand hazards open the way to a generous fairway to the green. 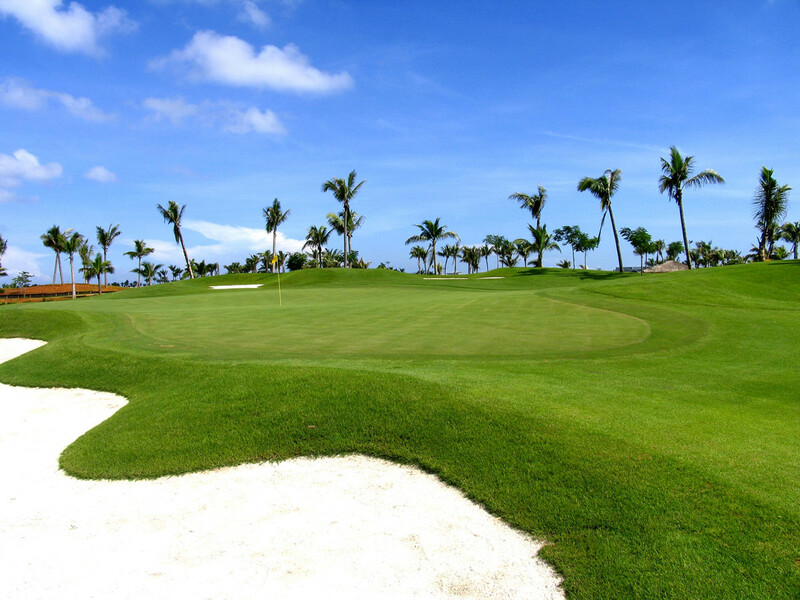 CNY750/person, single player supplements CNY165/person till September, 2019 with Green fee (18 holes), caddie/person, cart/two persons, insurance, service charge included.